As one of the few flight simulators that doesn’t require 40 hours of flying time to get licensed up and comfortable with the controls, Ace Combat has a lineage of being accessible with a great story to boot. It’s been a decade since players last got to fly the Osean skies (sorry, but Assault Horizon just doesn’t count) and many like myself have been waiting to go back. Now, players can finally get back in the seat of their favorite fighter jet once again in Ace Combat 7: Skies Unknown. For long-time fans of the Ace Combat series, the story throws in winks and nods to the series that might otherwise go unnoticed to first-time players. If all that you know going into Skies Unknown is that Strangereal is an alternative take on the Earth, that’s still more than enough to enjoy this latest iteration. 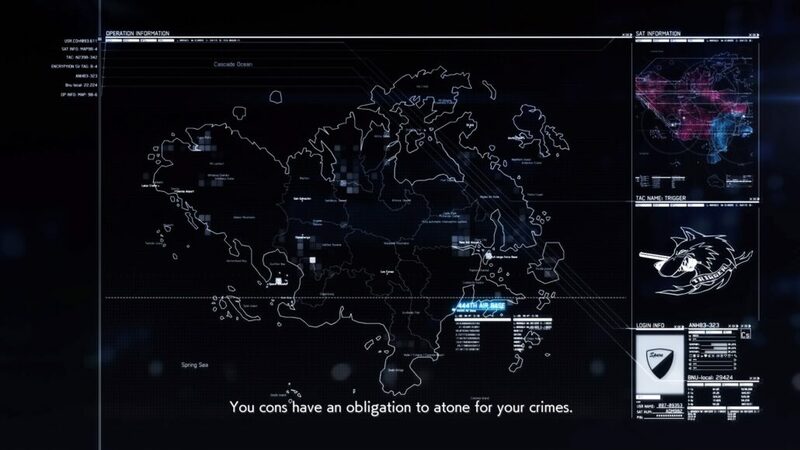 However, if you’re already read up on the wiki pages for The Demons of Razgriz or the Ulysses asteroid catastrophe that bookends Ace Combat 6’s story, there are an incredible number of story moments that tie Ace Combat 7 into the larger story so far. 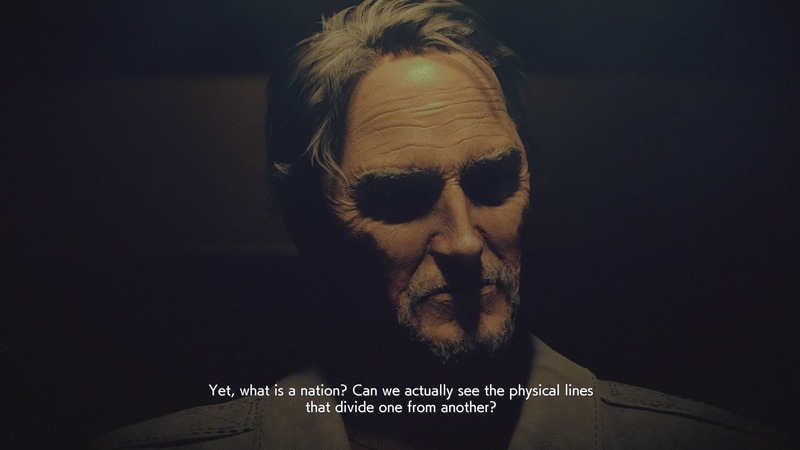 Ace Combat 7: Skies Unknown’s story even opens with Trigger being blamed for shooting down ex-President Harling as the impetus for his detainment and prison sentence; Vincent Harling was the President of the Osean Federation during the story of Ace Combat 5: The Unsung War and while Skies Unknown doesn’t do a great job of filling the player in on previous games, their story can still be enjoyable even if this is your first exposure to Strangereal. Being stripped away of your rights and being marked as a felon bearing three slash marks on their plane, designated for the most heinous of crimes and treason, the player is thrust into a world where felons are given barely functional planes and forced to act as decoys for enemy bombing runs. The silent protagonist of Ace Combat 7, known as Trigger, will work his way up from playing defense on suicide missions to stealth raids at night and defending the orbital weapon array known as Stonehenge throughout the twenty-mission campaign mode. The world of Strangereal looks beautiful from the seat of your cockpit, but you won’t be able to sit still long enough to really notice the amount of detail Project Aces put into their world. Each mission feels diverse enough from the previous one to help the campaign feel fresh whether you’re doing a mission a night or rushing through to finish the campaign in one sitting. As somewhat of a veteran that’s played through all of the PlayStation 4 era Ace Combat titles, I can proudly say that Ace Combat 7 features some of the best mission design in the series. Stealth runs through canyons, annihilation missions to bomb anything and everything in sight, and aerial fights against massive swarms of drones are but a small selection of what awaits future dogfighters If there’s one complaint about the campaign, it’s that checkpoints are too few and far between on certain missions. Some annihilation missions where Trigger is tasked with taking out as many ground and aerial units as possible might have a fifteen-minute mission before reaching the next checkpoint. In a flight sim where one or two stray missiles can knock you out of the skies, that’s practically an eternity. It isn’t just tanks and enemy fighter jets that you’re squaring off against in Ace Combat 7: Skies Unknown. As technology improves at a rapid pace, so does the potential for warfare. New to the story is the use of aerial drones, something that’s been perfected far more efficiently than the real world. These unmanned units operate on an AI based upon one of the greatest dogfighters in Strangereal and every encounter with drones become some of the best aerial showdowns in the game. It won’t just be a one-on-one dogfight either; some missions feature a showdown against a massive carrier plane known as the Arsenal Bird that can launch dozens of drones in a single fight that are all focused on shooting down the player. If you want to reach the far ends of the upgrade trees and unlock the Super Hornet and other high-spec planes, you’re going to want to jump into Ace Combat 7’s multiplayer. While there are only two modes to pick from (Team Deathmatch and Battle Royal), both stand out as some of the best aerial dogfighting to ever grace the PlayStation 4. In either mode, you pit off in a group of up to eight fighter pilots with the task of shooting down as many enemy aces as possible; the only difference between the two is whether you have a partner watching your 6 or if it’s every pilot for themselves. Different rulesets can be applied to the multiplayer lobby and can restrict special weapons from being used on your airplane of choice or impose a cost limit to prevent players from fielding endgame planes in combat. The most common ruleset I ran into during the early hours of the multiplayer servers being live is limiting lobbies to a total build cost of 2,000. This is just enough to afford one of about half a dozen planes and very few upgrade chips. While this is great for beginners that are just starting out and don’t want to get matched up with someone flying a fully specced out Su-57, it does establish a pretty interesting meta for each tier of cost limitation. 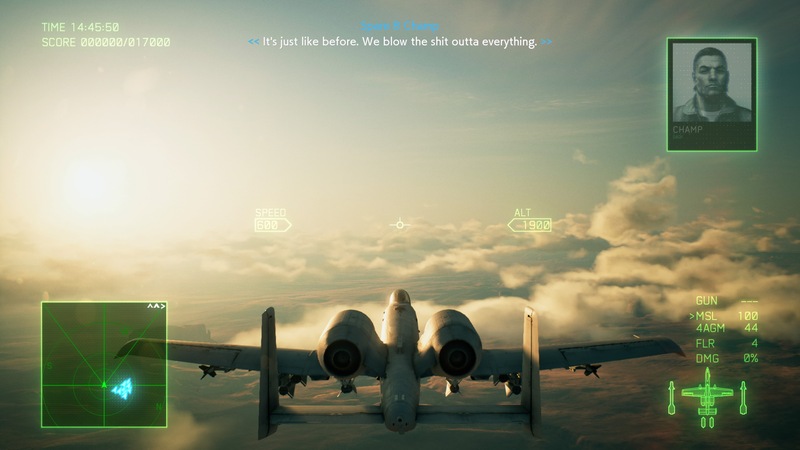 The stages to Ace Combat 7: Skies Unknown’s multiplayer are all directly taken from campaign entries and modified for a wide open arena of combat. These each have their own environmental hazards, such as narrow cliff sides that can be used to evade missiles if you’re deft enough or nighttime aerialscapes filled with clouds that can block laser shots from hitting their target. While I’d say that many of the levels that don’t feature unique mechanics are quite interchangeable (after all, you’re going to be so focused on what’s going on in the skies that you’ll miss all of the ground details), each stage features unique musical tracks. And these are some of the best tracks from the Ace Combat series, including the orchestral main theme to Ace Combat 5 or the flamenco guitar from Zero. Even if you don’t have the money or open space to invest in a flight stick, Ace Combat 7: Skies Unknown is comfortable enough to use a controller for your entire career as a flying ace. The controls feature both Easy and Expert variants, but don’t let the names fool you: both of these can be used by beginners to great effect. The Easy flying style automates much of the finer aspects of control to the point where you can fly with just the left analog stick and brake/acceleration pedals. Expert, on the other hand, gives players more control of navigating their roll, pitch, and yaw in impressive fashion. For online multiplayer, Easy controls can hold their own against beginning players, but when you start getting into the busier firefights and want to try chasing down an enemy bogey and match their flight movements, you’re going to want to opt to the slightly more complex controls. 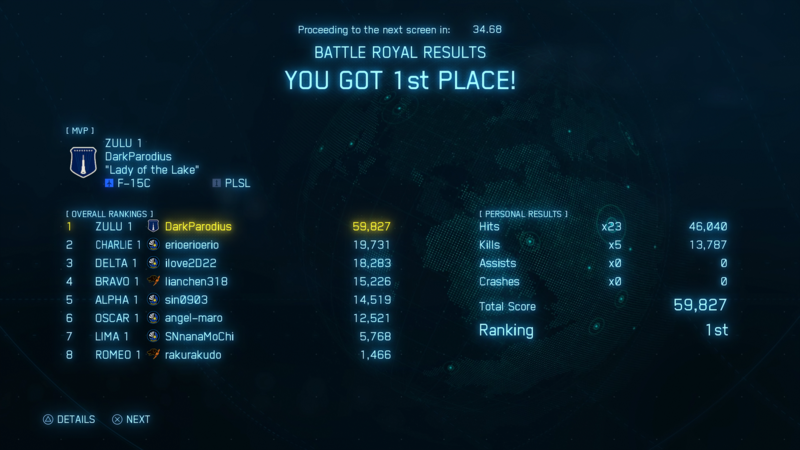 Also, it’s nearly impossible to pull off a barrel roll with Easy controls, so that’s something else to keep in mind. Unique to the PlayStation 4 version of Ace Combat 7: Skies Unknown is an included PSVR mode starting players off in the cockpit of an F/A-18F. This shorter VR experience puts players into the role of a fighter for the Mobius Squadron, a group that’s shown up in previous Ace Combat titles and current opposed to the Free Erusea insurgency. Again, don’t be too concerned if you aren’t familiar with the opposing forces as the PSVR experience can be enjoyed as its own thing. While only a couple of hours in length compared to the main campaign, those few missions are absolutely stellar in PSVR. Even with the included comfort settings, I could only manage a mission or two per setting before that PSVR sickness kicked in, but that mission was nothing short of brilliance. Being able to freely look around in the midst of a dogfight and watch your teammates fly around you or admire the wide open skies is breathtaking. If Project Aces could spin out the VR mode into its own thing (with multiplayer! ), it could absolutely be one of the best flying experiences on PSVR. What comes on the disc with Ace Combat 7 is great, I only wish there was more of it. It’s been over a decade since players last soared through the skies over Strangereal and the wait has been more than worth it. 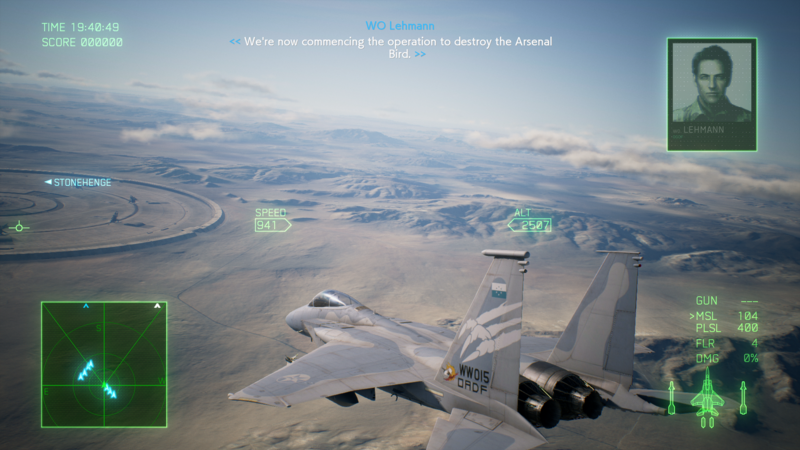 Ace Combat 7: Skies Unknown is not only one of the best campaigns to be released for the aerial simulator but also some of the most fun I’ve had in multiplayer in quite some time. Whether planning to fight in a squadron of fellow jokers or flying solo, Ace Combat 7: Skies Unknown is definitely worth playing.